Enjoying WNC’s premier museums doesn’t always have to be a static experience, where you passively admire the work of others. The Blowing Rock Art & History Museum and Asheville Art Museum are offering hands-on pairings of art, wine, and food. BRAHM’s Cork & Canvas program is offered monthly, May through October. “It’s a way to make art fun and less intimidating,” says Leila Weinstein, the museum’s educational programs coordinator. An instructor guides participants through re-creating a featured piece of art. 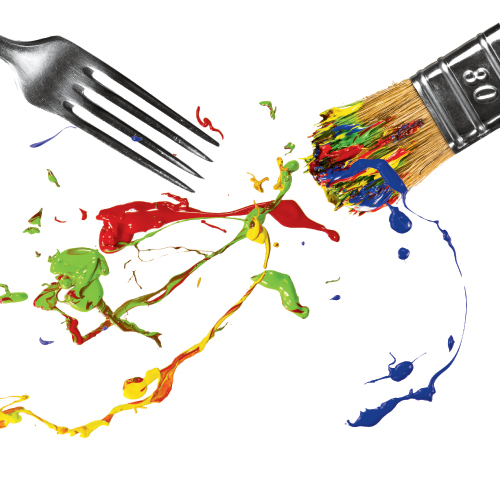 Everything is provided—canvas, easel, brushes, paints, apron, wine, and light snacks. The congenial atmosphere strips away inhibitions and allows artists, whether beginners or pros, to connect with their creativity. July 24 & August 28; 5-7 p.m.